As promised in my recent Insta video, this post is dedicated to a Russian ‘first’ – and no, I am not talking about President Putin. I mean a luxe natural skincare brand Berezka Lab. Only launched a couple of years ago by Dana Sagidullina, her passion for family life and nature informs her lifestyle choices and product creation. Having spent a few years living and working in Asia and increasingly appreciating a close connection between nature and human beings, Dana was determined to create skin, hair and body products that will give consumers the best of what nature has to offer. In Asia women have been using plants, oils and essences for centuries in their beauty rituals, so Dana wanted to create products that modern women can use with pleasure, while also noticing visible results on their skin. In some ways Dana views brick walls as opportunities to levitate and extend one’s abilities and I am happy to see that BL is getting a much deserved spotlight in the Russian press, which has been relatively lukewarm when it comes to the subject of genuine natural beauty brands. Single-handedly Dana seems to be changing perception that natural products are hippish and ineffective by sourcing high-quality ingredients and expertly creating the products that make you pause and appreciate the awesome beauty of what nature gives us so abundantly. With 100% natural formulas and no synthetic ingredients, cold-pressed plant oils, extracts, clays and essential oils allow you to create efficient and indulgent beauty rituals to nurture your inner goddess in the way that won’t have a negative impact on your long-term wellbeing. With an impactful, but unobtrusive herbal scent and rich texture, this day serum is a combination of 15 plant and essential oils, which hydrate and protect your skin during the day. Rich in photo-nutrients and protected by dark photo glass, that prevents formula oxidation & ultraviolet light from penetrating of all the BL products, organic ingredients help support skin’s hydro-lipid balance and assist your body’s natural regeneration process. In combination all of the ingredients prevent oxidative stress within your skin and fight against free radical damage, while hydrating the skin and helping it appear more plump. Having used it in the summer, when it was particularly hot, I actually ‘got away’ with just using it on its own and only applying my regular sun protection on top of it and my skin didn’t become dry. And having used it this winter, when it has been particularly cold (I do ‘top it up’ with a Tata Harper illuminating moisturiser or Josh Rosebrook Vital Balm, if I feel that my skin needs it later in the day, I feel that it offers skin ( I have normal/combination skin type) adequate support. Its rich colour, which reminds me of the colour of the sun just before the sunset above horizon when you sit mesmerised on the beach, it sinks in very quickly and acts as a perfect ‘primer’ before you apply your make-up. I quickly cleanse my skin in the morning, leaving it slightly damp to the touch and then apply about five drops of this serum all over my skin. The amount of ‘drops’ – a little more, a little less – depends on your skin’s needs in the moment in time, as well as your age and skin type. You can also use it around the eyes (as a contact lens wearer I never had any reactions, but of course it’s always best to try a little bit to start with and see how your skin reacts) and extend it to your neckline and decolette. After a few weeks of regular use in the morning and provided you use the right products for your skin at night time, you might also feel that you need to use less make-up during the day (of course, you might barely wear any already .) Just add a little bronzer or blusher, a lip stain and eyeliner – depends on your preference and you are ready to face the world. For me it really is one of those products that makes me feel good about about myself and the state of my skin. Easy to use, slightly heady when your first smell it, it is one of those ‘must have’ products for me now, something that even in the overly-saturated beauty market isn’t that easy to create, achieve or find. Now, bedtime routine and choice of products is particularly important, as it is at night that our body reinvigorates and regenerates itself. Berezka Lab’s night serum is a veritable antioxidant cocktail that was developed with the above said in mind. Dana chose and combined 17 plant and essential oils which promise to address free radical damage, tiredness and signs of stress (having said that, the power & effect of hydration and sleep can never be underestimated, irrespective of your age!). Lighter in colour than a day serum, this one also has a richer texture, which never-the-less almost instantly gets absorbed by the skin. Rich in photo-nutrients & lipids, this oily serum stimulates cell regeneration, speeds up collagen and elastin production, while also hydrating the skin and making it look more even-textured. Examine your face before you apply it and five minutes after you apply the serum and I hope you will see a plumper, more radiant complexion, before you sign the day off and dose off into the land of peaceful dreams contentedly. In the morning my skin looks plump and energised, something that I don’t take for granted. This serum also works well on helping heal acne scars and making them less noticeable, but as I haven’t suffered from acne, I can’t comment on that personally, but it is something that is mentioned by Berezka Lab in this product’s description and they aren’t the ones for boastful & unsubstantiated claims. The way your beauty product smells, helps determine how you feel when using it. If the scent puts you off or you have a bad association with its smell from the past, that’s not going to enhance your skincare ritual. With Berezka Lab you get sensory and olfactory indulgence, which should encourage you to take deeper breaths, helping to focus (morning) or calm (evening) your mind. Deeper breathing also encourages better oxygenation of your body, helping expel toxins from your body more effectively and giving you a better complexion, hopefully, in the process too. List of Ingredients: Carrot seed oil †, Almond oil*, Evening Primrose oil*, Seabuckthorn oil*, Jojoba oil*, Pomegranate oil*, Grapeseed oil, Vitamin E (non GMO), Fennel*, Palmarosa*, Rosewood*, Turmeric*, Patchouli *, Frankinsense, Grapefruit*, German blue Chamomile*, Neroli*, Rosemary extract* (* Certified USDA Organic, † Wildcrafted). Lately I have been having many conversations about skincare routines, in part, a consequence of a collaboration that I have been doing with Bio-Extracts. Or maybe it is the fact that festivities aren’t far away and we are starting to pay more attention to how our skin looks, before we get down to celebrating the end of this divisive year. 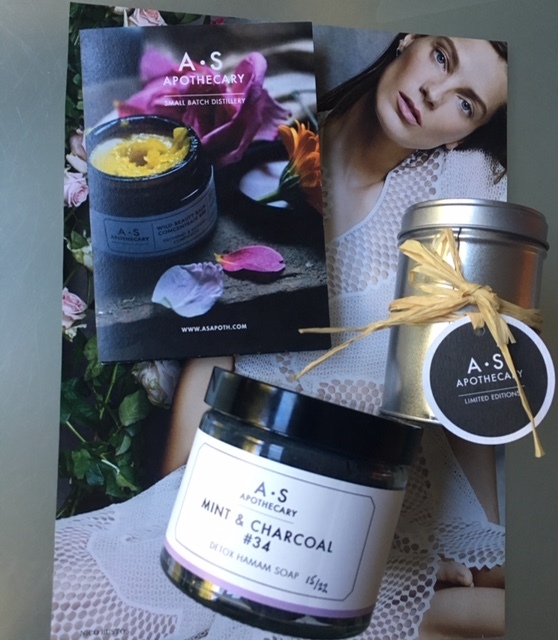 I have never been a fan of complicated skincare routine and truly believe that less is more, a sentiment that is shared by Joanna White, founder of Mallow and White. Joanna uses no more that six ingredients in her products and this year has seen a steady growth of her young brand. 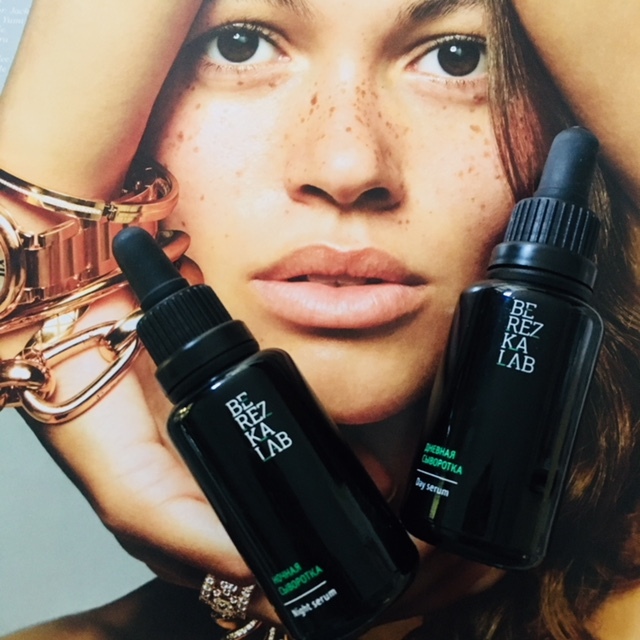 Now I want to introduce two of her new skincare ‘babies’ to you – SOOTHE and RESTORE cleansing oils, as well as Blossom Balm, her creative collaboration with beauty blogger Amber, aka Amber’s Beauty Talk. Joanna actually launched three cleansing oils – there is also REVITALISE for mature skin, but I have been testing two of the above since October and have to say that it’s been the case of ‘like’ at a first sniff and a much deeper appreciation the longer I used the oils. I tend to use cleansing oils in the evening, to properly and thoroughly cleanse my skin, getting rid of make-up and pollutants, massage my face and make skin ready for the serums or creams or oils that I apply as part of my evening skincare ritual. Joanna is not the one to rush to expand the range because it is often expected in the beauty industry – I call it the ‘false novelty bandwagon’ – so ‘developing a trio of cleansing oils was done in order to complement and complete the products that are already on offer and result in a simple, paired down and effective set that is all you need for your skin – cleansing, gentle exfoliation and moisturising. I realise that there are other steps that can be added, but for me, these are the basic essentials ( it is all I use!). As the whole idea of the products is simplicity in ingredients, I wanted the range to be simple too’. Sooth Cleansing Oil is fragrance free and was developed with sensitive skin in mind. When I opened the bottle and inhaled, I could clearly smell the freshness of cucumber notes and that was very special, as I don’t know many face skincare products with this smell. The two star ingredients of the Soothe cleansing oil are the Rice Bran Oil (Oryza Sativa) and the Cucumber Oil (Cucumus Sativus). Joanna loves the softness of rice bran oil, which is also known as an oil suitable for irritated skin. She also added Apricot Kernel Oil in the mix because of all of its wonderful properties, but it was equally important to make sure that the oil smelt nice, even though it is unscented. ”(Maybe brands don’t use it precisely because its scent would clash with other fragrances they are using?)”. Cucumber oil was an obvious one for Joanna – it smells beautiful, but also has various properties she was looking for, including skin’s nourishment ( Omegas 6 and 9), it ‘spreads’ easily and absorbs fairly quickly into the skin to help moisturise, as well as cleanse. ”On a more technical note, it contains phytosterols, and studies have shown that these help stimulate the regeneration of healthy skin cells. I figure this must be good for those with sensitive skin,” – adds Joanna. I apply a few drops of this cleansing oil to my fingers first and then spread it all over my face, gently massaging it. If I am going to shower, I leave the oil on for a few minutes and then cleanse it off with a damp flannel, leaving my skin nurtured, soft and sample. While I don’t have sensitive skin, as it becomes colder and radiators are working full blast, my skin becomes dryer, so using this cleansing oil supports my skin’s matrix and gently cleanses make-up and daily pollutants off. The oil’s pale yellow colour is easy on the eye and feels richly nourishing, yet not at all greasy, for those of you who are wondering about trying oil cleanser for the skin. 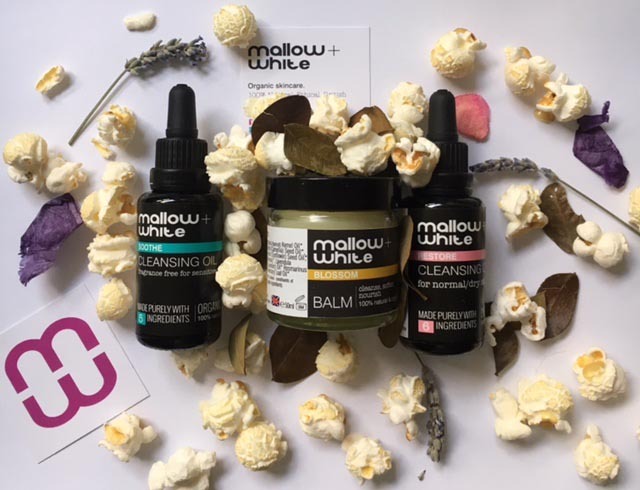 I also recommend that you check Mallow & White website for tips on the best way to use each product, as this oil cleanser can be used three ways. Click here to find out more. There is also additional information on key ingredient benefits, as well as the full list of ingredients, which is as follows: Cucumber Seed Oil, Rice Bran Oil, Grapeseed Oil, Apricot kernel oil, Jojoba oil. Joanna’s products don’t contain mineral oils, SLS or other harsh sulphates which are harsh abrasive cleaners and all of her products are hand-blended in small batches, in order to maintain maximum freshness, in Hertfordshire, where she lives. They are also vegan and tested on friends, not animals and if you think or know that you have sensitive skin, Joanna recommends that you do a patch test first.